“You learn over time, as I did, that trying to manage a property yourself or choosing the wrong manager can cost you big time. “You should make sure you get the right agency from the start, unless you’re okay with throwing your money away”. First and foremost, an agency needs a strong local presence and staff with the communication skills necessary to ensure your property is successfully let. Avoiding a vacancy is imperative as every day without a tenant costs you money. But letting the property is only step one – the biggest headaches investors experience are usually the result of a dispute with the tenant. “A top manager has a big advantage; they know all the legislation and requirements, so if you end up at the tribunal, they won’t make a mistake and get an adverse finding that sets your plan back on its heels,” Chandler says. 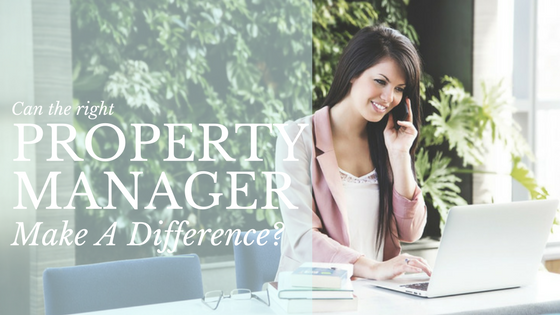 Knowing how to handle the upkeep of the property is another trait good managers have in spades. Chandler says they need be on the front foot to ensure the property is maintained correctly, knowing when to act as delaying some repairs costs much more in the long run. How can you tell the right manager? Chandler says that when she is looking for a manager, the ones that stand out have maturity and organisational skills. “If they arrive late for a meeting, look flustered or are forgetful, they are either too inexperienced or are attempting to manage too many properties. “Remember, it will be nice when you meet their business development manager, who is paid to make you feel welcome, but what you really need to know is who will actually be looking after your place. The fees for an agency are calculated as a percentage of the rent, varying by state from 4% to 7.7%. In some cities, agents will also charge a fee equal to one or two weeks rent to advertise and let a property. Taking the cheapest deal on offer may be tempting, but Chandler advises investors to negotiate for a good deal and ensure they don’t pay a re-let charge when a tenant is staying on. How will you know the agent is right? “Investors should assess whether they have the maturity to handle questions at an open inspection to maximise interest and ensure they know the ins and outs of the local market,” Chandler says. A good agent must know how to negotiate as they will be dealing with everyone from owners corporations to tradesmen with Chandler emphasising they need to know when to stand their ground and get the right outcome.